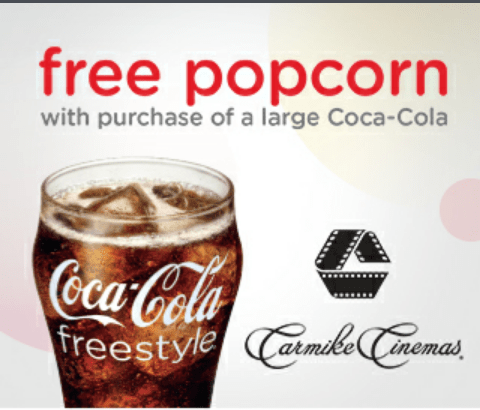 Enjoy a FREE medium popcorn with purchase of a large fountain drink from Carmike Cinemas. Hurrah, that’s what I was exploring for, just what a material! of blogging, that actually the way to do blogging and site-building. website is in fact good and the viewers are in fact sharing good thoughts. be back again to find out more, many thanks for the information! I the same as the helpful info you provide on your own articles. I am going to bookmark your weblog and test once more here regularly. I am just slightly sure I am going to be told lots of new stuff right here! by accident (stumbleupon). We have saved like a favorite for later! I’ll bookmark your weblog and appearance again here frequently.